Sometimes, but only sometimes, does a dedicated salmon fisher find him or herself presented with totally perfect conditions. When it happens some recognize it, others do not. We are lucky this week to have 27 fishers with years of experience, many of those years here on Varzuga, who recognize the current conditions are as good as they possibly could be. The water height is about one foot above summer level and dropping slowly. Summer level is a somewhat subjective judgement so I can best describe the current water height for you as being over the grass edges by a foot or so. The water temperature is ideal and steady too, between 11⁰C and 15⁰C, this morning we have started with 11⁰C. The winds have been light and the weather kind to us albeit on the cool side. 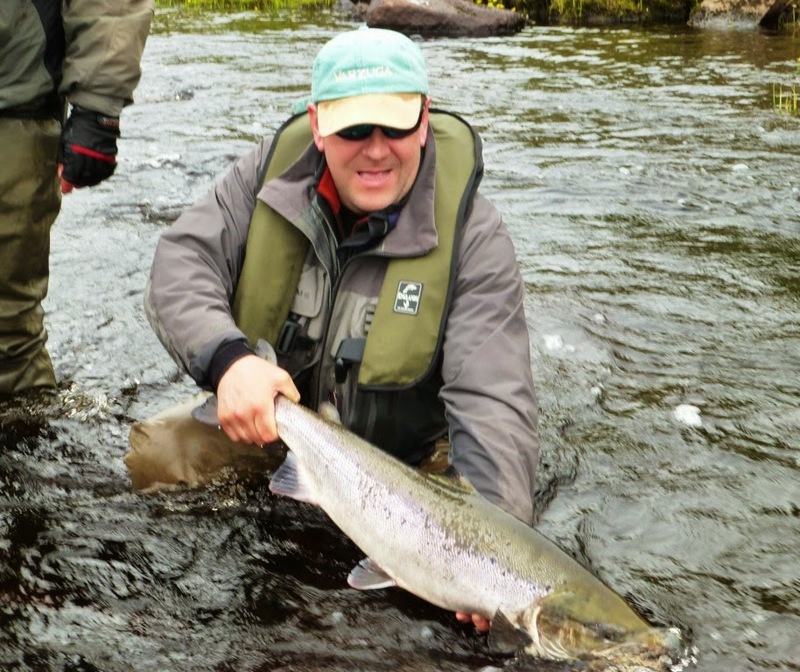 Combined with the perfect river height, and the stable temperatures and weather conditions, we have had a really strong run of spring salmon this year, and now the grilse have arrived in big numbers too. It just does not get any better than this and the three groups, realizing that Nature has gifted them a unique chance, are making the most of it. Currently an intermediate tip is the best bet, it is still a tad too high to do well throughout the river with a floater. Flies in the size 6 to 8 range are doing well, or a 1” tube. Colours tend to be combinations of red, orange and black. 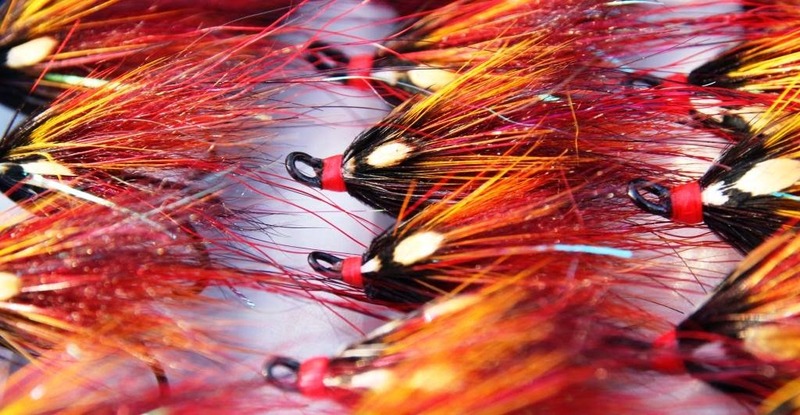 Personally I do not think the colour is that important, fishing the fly well is the key to success. 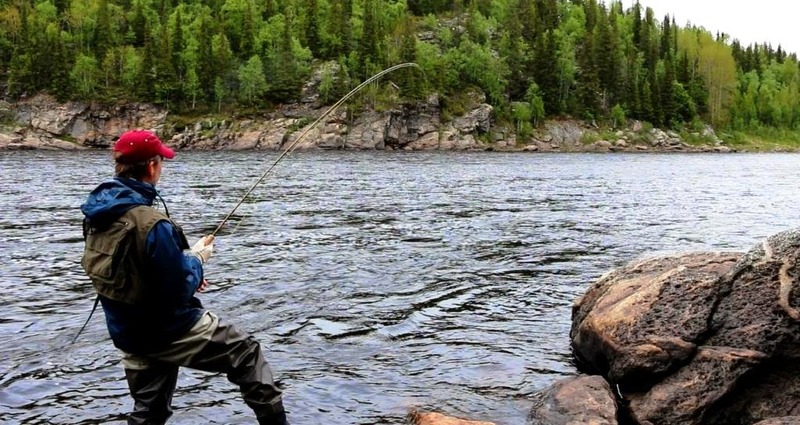 If you are coming out on 14 June I would recommend you bring a floating line with a selection of tips, most likely you will use a floating or intermediate tip. Bring good selection of flies; no doubt conditions will have changed by then, most likely it will be warmer and we can try more fishing right on the surface. The teams fished hard yesterday, and with remarkable results. 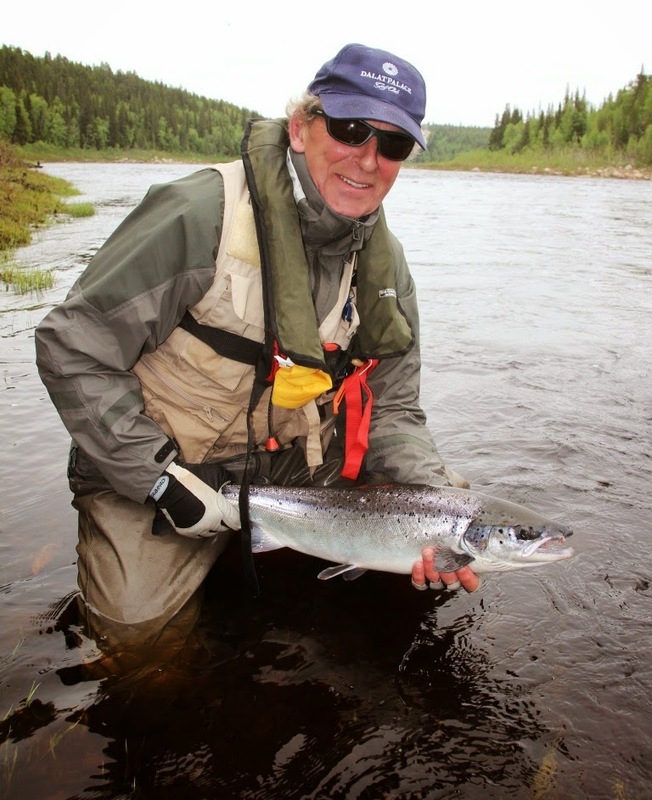 Kitza landed 80 salmon; Sasha’s Pool fished really well in the afternoon as another big run of fresh salmon came steaming through from The White Sea. Here at Middle Camp we had 168 salmon and grilse, all the beats are in perfect order at this height and the only real problem is knowing where to start! Pana had a bonanza with 184 landed by Charlie T and the team of 8. Paddy V led the score board with 30. We are now just over 800 salmon to 27 rods in two days. For me the statistics matter much less than watching everyone making the most of our very good fortune to be on the remarkable Varzuga this week.